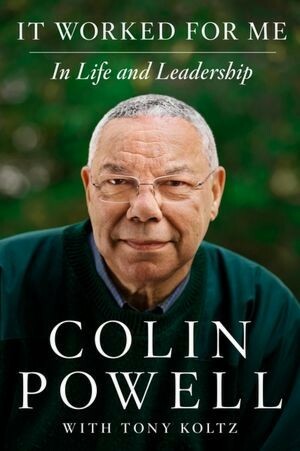 13 Rules of Leadership by Colin Powell found on Josh Reich. Get mad, then get over it. Anger is okay and sometimes warranted. As a leader, you will be hurt, criticized, stabbed in the back and letdown. Get mad, and the move on. Life is too short to stay mad. There is too much ground to cover to stay angry. Avoid having your ego so close to your position that when your position fails, your ego goes with it. Your positions and opinions cannot be who you are, otherwise when they fail or lose, you are left with nothing. Be willing to be wrong and to lose. It can be done. Powell states, “Always start out believing you can get it done until facts and analysis pile up against it.” Too many pastors start with, “This can’t be done” and then find data to back that up and then miss the possibilities God has in store for them. Be careful what you choose: you may get it. Take your time to examine options if possible. Don’t rush things. Don’t let adverse facts stand in the way of a good decision. Facts aren’t always right, sometimes leadership is about going with your gut and what you believe you need to do. Leadership is knowing what the difference is. You can’t make someone else’s choices. You shouldn’t let someone else make yours. I tell pastors all the time when it comes to volunteers, “Don’t say no for them.” Make the big ask. Cast the big vision. Don’t be afraid to ask a busy person to serve, a generous person to give, etc. Ask. The worst thing that can happen is they say no, which doesn’t change where you are right now. Share credit. The higher up you go in leadership, the more credit you get for anything going well. Consequently, you get more criticism for things going poorly. Leadership is about sharing credit and taking blame. When things go well, spread the credit around. Don’t hoard it. Remain calm. Be kind. Leaders set the tone. If you are tired, stressed, busy, chaotic. Others will be as well. In the face of uncertainty, remain calm in public. If you need to vent, let off steam, do that in private. Have a vision. Be demanding. If you don’t have a vision, a plan, a dream, you aren’t leading anyone anywhere. People get excited about big visions, big dreams. When you have one, get buy in and keep people focused on it. Powell said, “Followers need to know where their leaders are taking them and for what purpose. Purpose is the destination of a vision. It energizes that vision, gives it force and drive. It should be positive and powerful, and serve the better angels of an organization. Good leaders set vision, mission, and goals. Great leaders inspire every follower at every level to internalize their purpose, and to understand that their purpose goes far beyond the mere details of their job. Don’t take counsel of your fears or naysayers. For me, I listen to criticism from people who love Jesus, love me and love Revolution. Don’t meet those 3 criteria and I’m not that interested in what you have to say. It is easy to let fear, the unknown and criticism derail you. Don’t. Perpetual optimism is a force multiplier. As a leader, people feed off your optimism or pessimism. You can’t hide them. Be optimistic.